The Bodega Castillo de Monjardin winery is located in a favoured setting for vine cultivation, in the valley of San Esteban, the wine-producing area of Tierra Estella (Navarre). Our goal is to obtain excellent quality grapes for the Chardonnay, Tempranillo, Cabernet Sauvignon and Merlot varieties. We have decided in favour of the best wine-producing varieties, selecting the clones with the lowest yields. Chardonnay: In Monjardin, due to our high altitude of 600 mtrs and the characteristics of our continental climate we have very nice Chardonnay, fresh with elegant acidity and very aromatic Our Chardonnays are well balanced, full body and very well recognized. Our wines are: Chardonnay Joven, Fermentado en Barrica, Reserva and ESENCIA. Pinot Noir: We have probably one of the oldest Pinot Noir in Spain from 1998. This is a red wine variety that is usually light in color, very aromatic and smooth in the palate. We make a Pinot Noir with 6 months in barrique that is very unique from Spain. Tempranillo: It is the most popular red grape in Spain because of its tradition and constancy. At our region, the yields are low and the grapes can fully ripe. It is a grape that we use in most of our wines adding its tipicity with unique personality. Our wines: Tempranillo CLASICO, Crianza Coupage Seleccion and Reserva Especial. 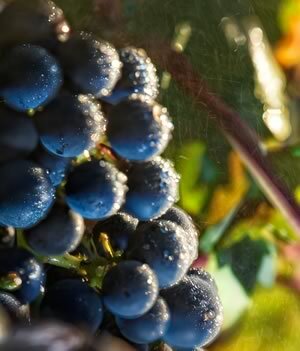 Garnacha: It is very valuable in Spain and historically important in the North of Spain. Usually, its wines are short aged because it is a delicate grape that has to ripe well in order to give firm and delicious red wines. We make a single vineyard Garnacha from our oldest vineyard that is 70 years old from a cool climate. Cabernet Sauvignon: One of the premium red grapes because its constancy and capacity to make wine that can be aged for many years. The ripening is long and control where it is usually well balanced with high alcohol and good acidity. We make our Tinto Crianza Coupage Seleccion, Reserva Especial and Gran Reserva. Merlot: It is also one of the premium red varieties that makes very elegant wines and smooth palate. It is usually very aromatic like blackberries and can be blend easily with other grapes completing the final wine. We make our Tinto Crianza Coupage Seleccion and Single Vineyard Deyo Merlot.